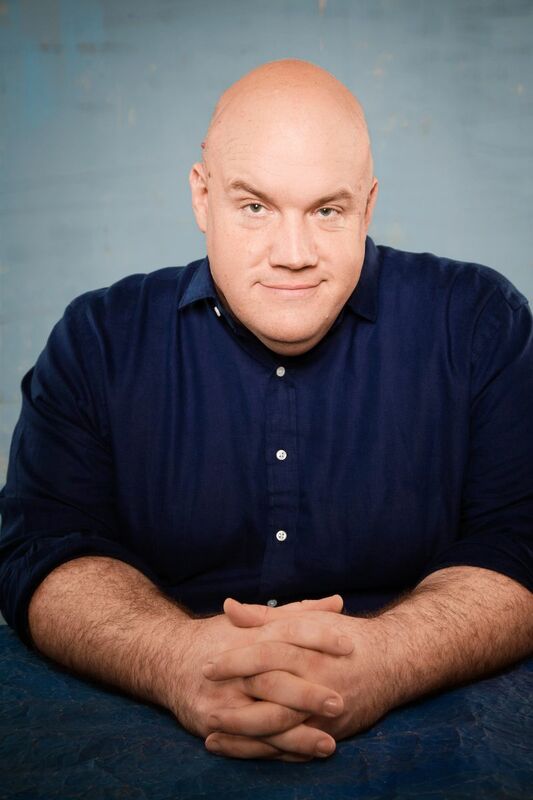 Guy Branum is a writer and comedian best known for his recurring segment “No More Mr. Nice Gay” on Totally Biased with W. Kamau Bell, serving as “Staff Homosexual” on Chelsea Lately and his performance as Natalie Portman’s sassy gay friend in No Strings Attached. Noticing a trend? He currently writes for Hulu’s The Mindy Project and truTV's Talk Show The Game Show, where Guy plays host and has his guests face off to prove who the best talk show guest is by plugging, name-dropping and anecdoting their way to victory. The show premiered in April 2017. Guy is a recurring panelist on Comedy Central’s @Midnight and has appeared on The Nightly Show with Larry Wilmore. Other TV credits include his recent stand up performance on The Meltdown with Jonah and Kumail and the upcoming Road to Roast, also on Comedy Central, SeeSo’s Comedy Show Show and Debate Wars, or maybe you have seen Guy on E!, MTV, G4, CurrentTV and many other channels that you’d need to upgrade your cable to watch. Guy’s writing credits include Punk’d and Awkward on MTV, Billy on the Street on truTV and Fashion Police on E! That means he’s watched the Grammys at Joan Rivers’s house. Jealous? As a standup comic Guy has appeared at San Francisco Sketchfest, Moontower Comedy Festival in Austin, TX, Riot LA and Bridgetown Comedy Festival in Portland, OR. In 2015 Guy released his debut album Effable on AST Records. He also writes self-important essays for various blogs, had an editorial column in The New York Times and occasionally makes videos where he dances around without his shirt on.